I had a blast with the improv QAL called play! This was a no stress QAL, the opportunity to give improv a try and embrace as many or as few of the weekly prompts as you wanted to. Folks were encouraged to email me their finished pieces for sharing in the parade - cue the band! I asked everyone what they learned from making an improv quilt. 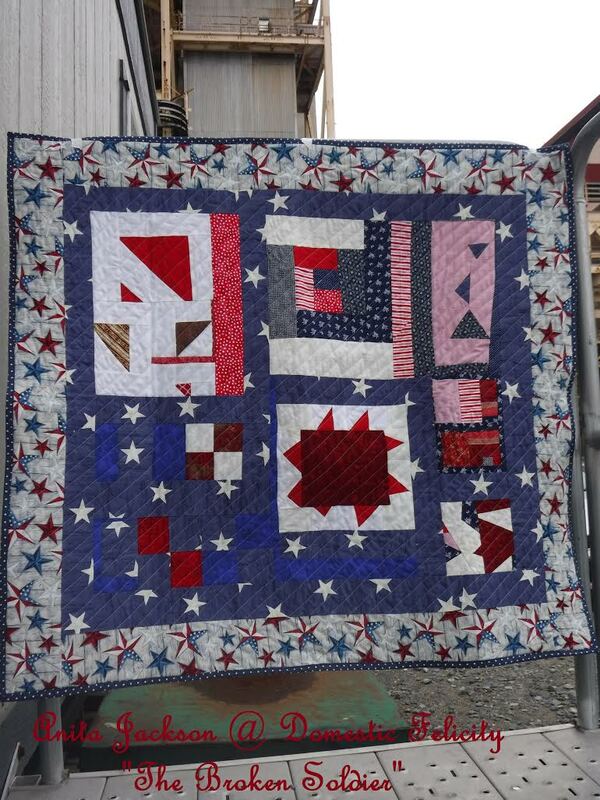 That is shown in italics below each quilt. Prepare to be impressed! I think these are just amazing. 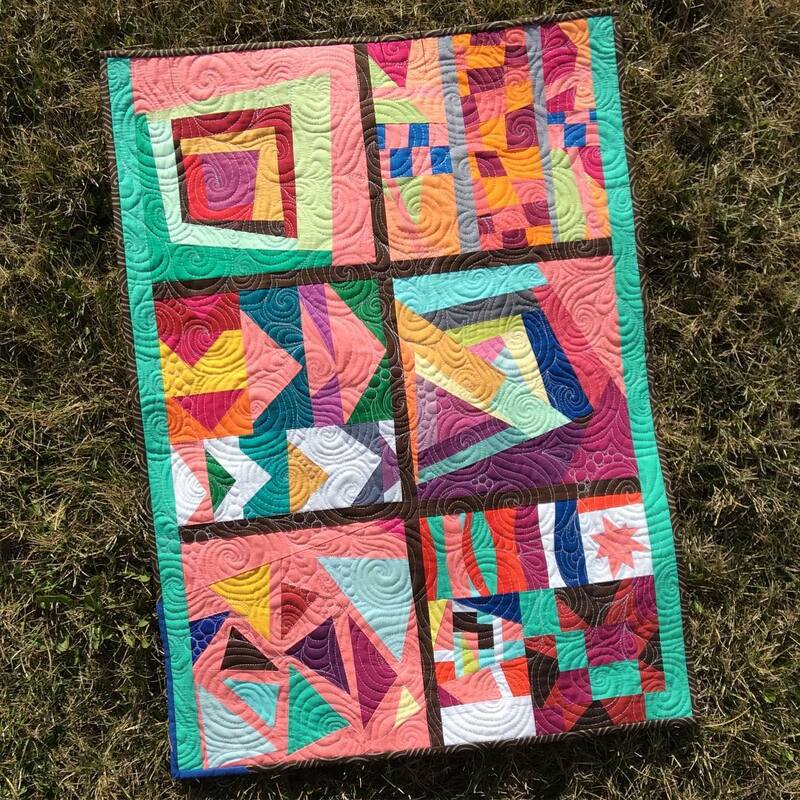 By attempting improv style, I learned that much of anything in my scrap basket can be used to create an interesting non-traditional quilt block. By forgetting all the rules, some great art can be created. You can visit Anita on her blog Domestic Felicity. Making the blocks was easier than putting it all together into a balanced whole piece. I have done some improv blocks under more restrictive guidelines. This time I learned to just go wild and see what happens without the restrictions. Not to worry if the blocks were too big or small. Just make them fit by adding some fabric on when putting all the odd sized blocks together. You can visit Betty on her blog Sew What Now. I started with the word "beauty" because we seem to find things that are "perfect" and symmetrical beautiful. I figured it was ironic and more difficult than I thought. ........So I made "beauty" and wanted more, so I thought "truth" compliments beauty well. 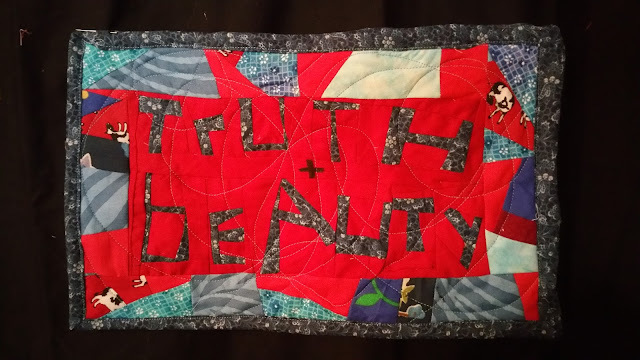 Also the idea of "wonky truth" seems timely with fake news, alternate facts, etc.I wanted to employ more improv so I randomly sewed blues and reds together then cut 1 1/2" strips for a border. I love it and need to employ that border trick to more stuff! I learned to trust my instincts with this QAL. I learned creativity is on-going throughout a project (and that's a great thing). And I can't wait to start another improv project! You can visit Beth on her blog EVF Design. This was the most fun sewing experience! I learned I could sew curves, make letters, and put together an interesting quilt without a pattern. Thanks for inspiring us, Patty! You can visit Kristel on her blog Work-In-Progress Girl and on Instagram Clumsy Kristel. What I learned about improv was to let loose of symmetry and planning. 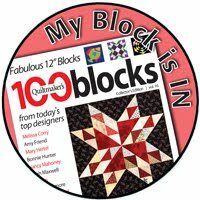 Also learned about having many different types of blocks all in one quilt. You can visit Danice on her blog Homespun Hannah's Blog. I used American Made Brand solids exclusively. I really went to town with my quilting. Basic straight line quilting but some areas I did diagonal lines and in others a irregular grid. For the binding, I did my best to match the quilt - it didn't take as long as you might think to get this to all line up. Thanks to every who participated in the play QAL. I hope you all had as much fun as I did! And thank you to our wonderful sponsors - Auriful and American Made Brand Solids. 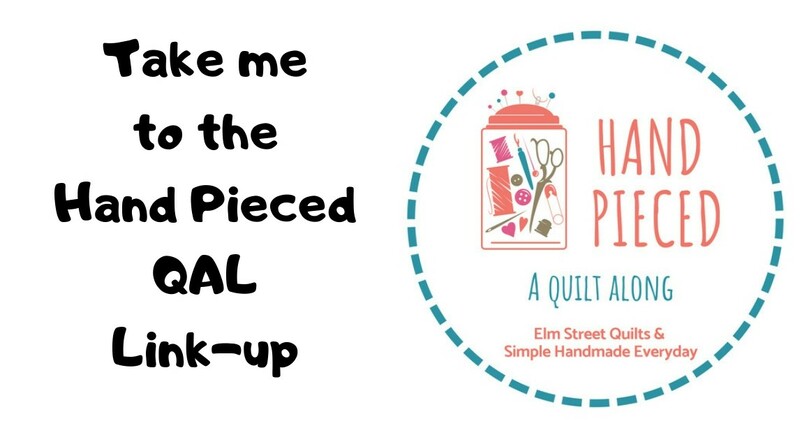 Prizes were awarded to random participants who shared in the Elm Street Quilts Facebook group, in each of the two link-ups and who send their quilt photos to be shared in today's post. 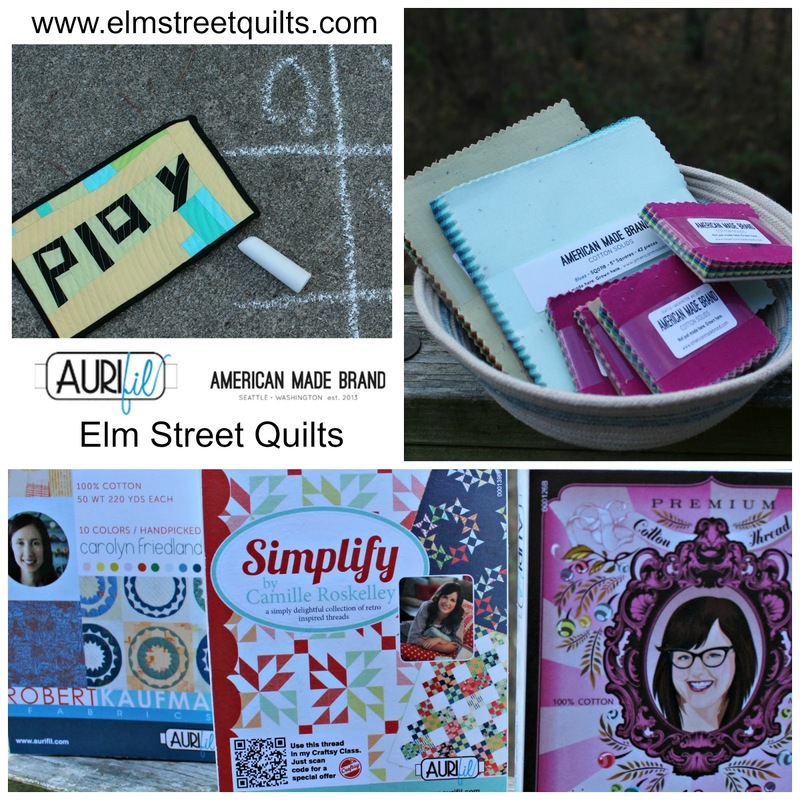 I'll be linking up my Kindness quilt with Freemotion by the River, WIP Wednesday's, Let's Bee Social, Midweek Makers. Needle and Thread Thursdays, Finish it Up Friday and Finished or Not Friday. Fun to see these all in one place, and to see how wildly different everyone's results are! Thanks again for running this! 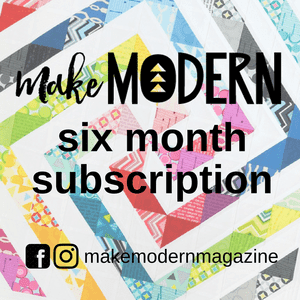 It's so fun to see how each quilt is completely different, yet each beautiful! Now I want to make another one! They are all so different! 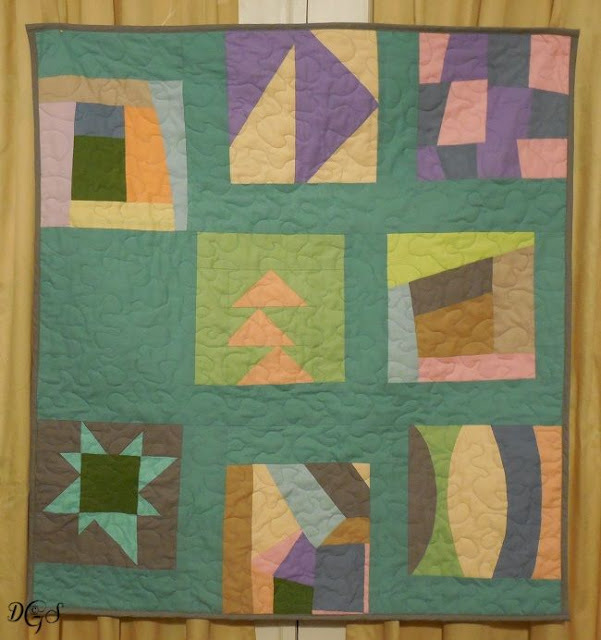 A very creative group of quilters. They all turned out so beautifully! What a fun and interesting project this was! I love all the different interpretations and names of the quilts~ Thank you Patty for making the quilts a success! It wasn't in the cards for me to join in this time, but I sure had a lot of fun following everyone's progress! This is a very beautiful parade. The uniqueness of each quilt is amazing. Thank you Patty for all the work you did to present the qal and the parade.